Puppycom has imported the first set of competition standard Flyball equipment from UK in the month of September 2006 and is now offering Dog Fly Ball training in Malaysia. If you have a dog has high ball drive, then you have a candidate that is likely to be suitable for Dog Fly Ball sports. Many popular dog breeds such as Golden Retriever, Border Collie, Labrador, Jack Russell Terrier, Beagle, Shepherds and many more are suitable for such training. If you are not sure on whether your dog is suitable, please come with your dog to our training center in Ampang and we will access your dog. 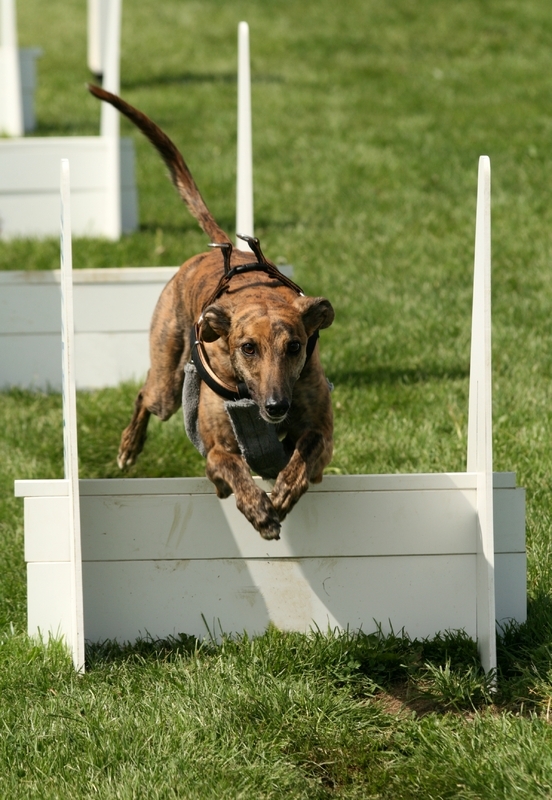 Flyball is a team sport for dogs and their handlers. It was invented in California in the late 70’s. It is loud, full of energy, and fun for all involved – the dogs, handlers, judges, and spectators. Dogs of all shapes, sizes, breeds, colors, and ages can participate in flyball. Dogs with high drive for ball are in particular very suitable for Fly Ball Training. Dog Fly Ball Training is only available at our Ampang Dog Training Centre on One to One Basis.